Are you an aspiring DJ? Do you need a slick way to unlock your secret DIY laboratory? Or maybe all you want is to scroll through a few menus and add a little user input to a project. Whatever your intentions this large touch sensing panel can add a modern method of manipulation to your creation. 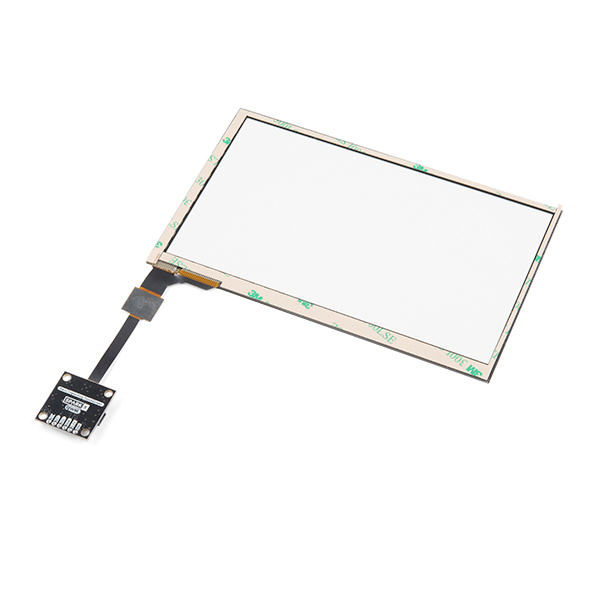 This 7" diagonal touchpanel uses the "cadillac" of touchscreen technology - mutual projected capacitance - to track up to five fingers simultaneously. Pair that with a simple I2C interface and an optional interrupt to signal new data and you have a truly capable Human Machine Interface platform. 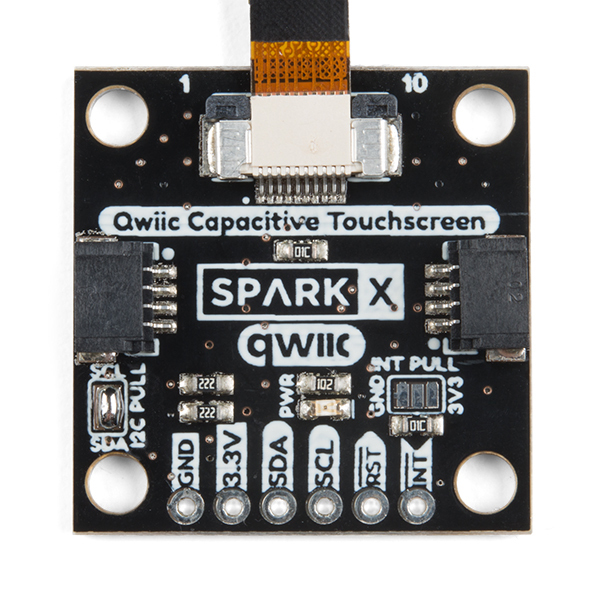 This touch panel comes with a Qwiic board and Arduino library to easily add it to an I2C project. I2C Pullups The I2C pullup jumper on this board leaves the I2C pullup resistors disconnected by default. If your I2C bus has no other pullup resistors you will need to close that jumper with a blob of solder, otherwise everything should be A-OK.
"This 7" diagonal touchscreen..." Is this actually a touchscreen, or just the touch layer for a screen? The photos (and price) do not seem like a full touchscreen. 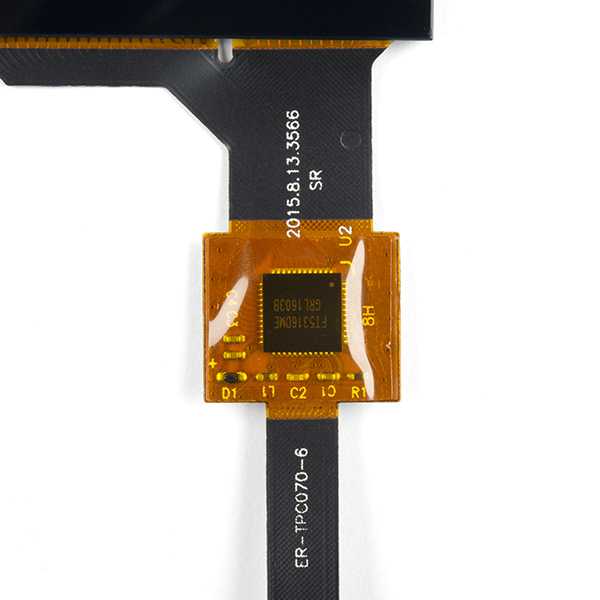 Hi - you are correct this is only the "digitizer" layer. It is a clear glass pane that can sense capacitive loads like fingers but it doesn't have any intrinsic output ability. 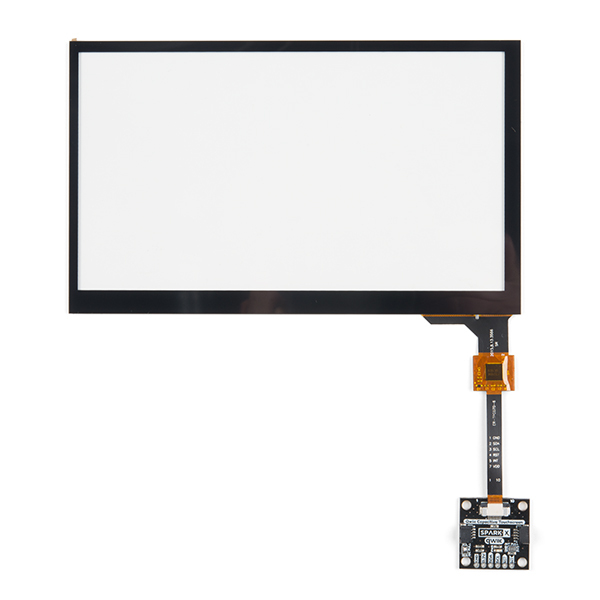 There's a whole host of cool things you could combine this screen with: Addressable LEDs, RGB matrices, 7" E-paper display, or even a hand-drawn UI that to slide underneath. This is only the touch part of the screen. 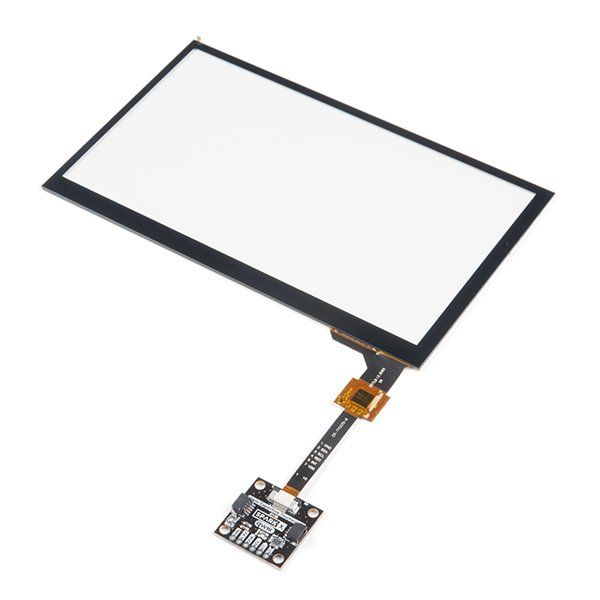 "Qwiic Capacitive Touch Panel - 7 in"